Font Face allows specifying online fonts to display text on web pages. 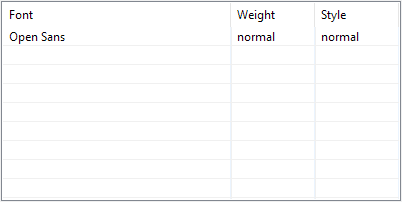 This eliminates the need to depend on the limited number of fonts users have installed on their computers. Show a list of added fonts. Open the Add Font Face Dialog. Open the Edit Font Face Dialog. Remove the selected font faces. 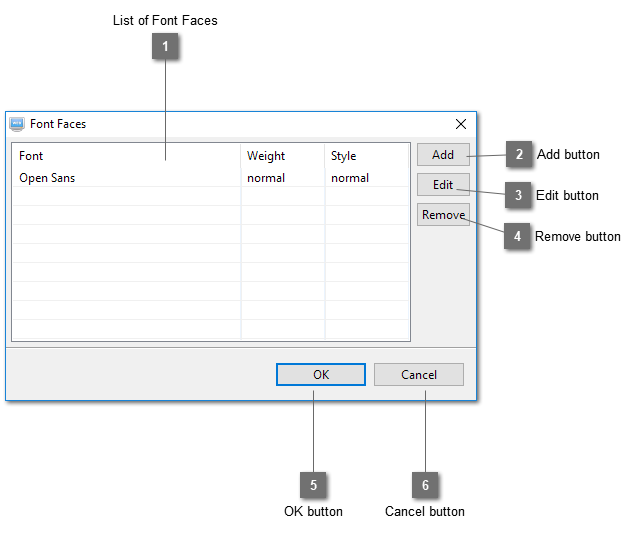 Click on the OK button to save the settings of font faces.